There are many reasons why 40.1 million Americans in 2014, and 14% of Americans over the age of six in 2013, went camping. Camping is something that is a way of life for some people. Many go on camping trips every year; but for some, camping is a treat that they partake in less frequently. If you’re either new to camping or someone who doesn’t camp on a regular basis, planning your camping trip might be a bit more involved. For that matter, it’s quite possible that you might not want to camp in the old-fashioned way. Lots of family camping trips in this day and age involve cabin rentals, rather than tents. Cabin rentals give families the opportunity to camp on campgrounds, but perhaps with a few more conveniences than they would have otherwise. For that matter, lots of people find that camping in a cabin is a bit easier than camping in a tent. If you’re not an experienced camper, it’s probably better to go with the safer option than the old-fashioned one. Choosing cabin rentals doesn’t mean that you aren’t really camping. You’re still camping — you’re just camping in a way that is right for you and those who are camping with you. This is especially relevant for parents with young children. Let’s look into how you can plan your camping trip — especially if you have a kid friendly vacation in mind. Are Camping Trips Right For Children? Yes, camping trips great options for kid friendly vacations. Many children in this day and age don’t know how to have fun in the great outdoors — they would rather play with electronic devices. This is why their parents decide to take them camping — and if this appeals to you as a parent, it’s no wonder. According to a study by the Institute of Education at Plymouth University, 98% of parents reported that camping makes their kids appreciate and connect with nature, 95% said that their kids enjoyed camping, and 93% reported that camping gave their kids skills that would be valuable later in life. Camping is a refreshing change of pace for kids, and this doesn’t change if you choose to camp in cabin rentals. Cabins allow children to enjoy nature, while at the same time being clean and safe. Young children in particular may be more negatively affected by bug bites than older kids and adults, and therefore it might be a good idea for them to sleep indoors. Kids also will be more comfortable if they have access to showers and bathrooms that often come with cabins. How Far Should I Plan My Camping Trip In Advance? As much as you might want to camp in a spur of the moment manner, it’s usually better to plan your camping trip out. This way, you’ll be less likely to encounter bad weather or overcrowding at a campground. It’s estimated that 43% of campers planned their camping trips at least a month in advance. This let them plan activities for their kids, while at the same time making sure that the practicalities of a camping trip were in place. 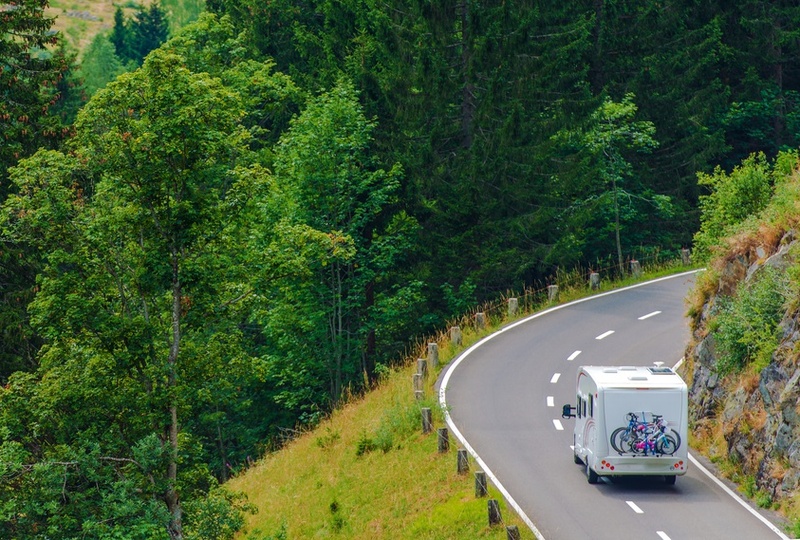 Campgrounds often require people to get certain permits to camp, or pay fees — this means that the further in advance you plan your camping trip, the more likely you will be to get the space that you want, while avoiding the higher fees that sometimes come with reserving a spot at a campground on short notice. What Are The Advantages of Camping In A Cabin? There are many advantages to camping in a cabin, including those that we mentioned above. However, perhaps some of the greatest advantages are that cabins provide safety from the elements and animals. Though most campgrounds monitor the area for large predators, there’s always the chance of a dangerous animal posing a threat. When you’re in a cabin, you have a safe place to stay. Storms are also issues, and while tents can’t withstand them, cabins can.